Last year, Pringles got a lot of people talking when they dropped Top Ramen flavored potato chips. This year, they're flipping the script and teaming up with Supercup to imbue ramen with two of its iconic flavors. Pringles' Jalapeno Onion and Sour Cream and Onion flavors will be available in instant noodle form, all as part of Supercup's 30th anniversary celebration. 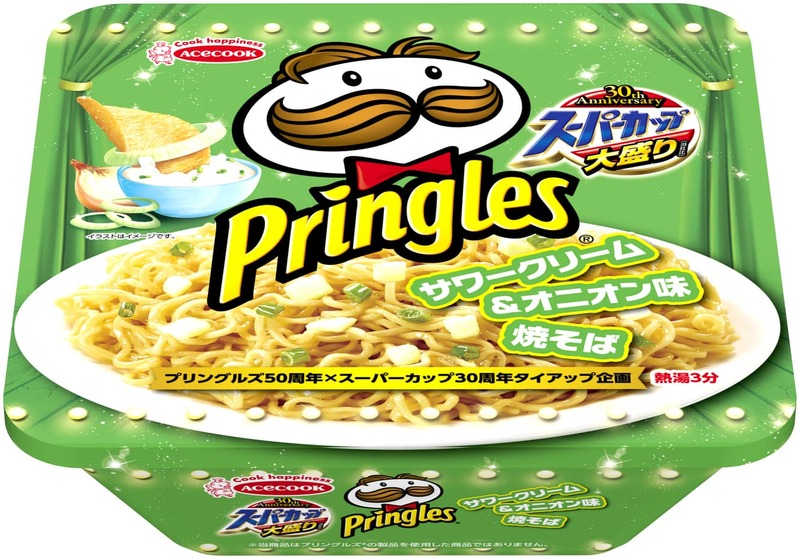 In addition, Supercup's Soy Ramen and Squid Dry Noodles flavors will be made into Pringles potato chips starting October 23. Both will be available only in Japan. If you've ever wondered what Pringles would taste like mixed into instant ramen soup, this is the warming, hearty version of that combination. The special Supercup ramen bowls are available in Japan for a limited time at 200 yen ($1.79 USD) each.